We’re a month into the new year, but it’s not too late for to join in on some of the top design trends for 2018. From colors to finishes to textures, you’ll be sure to find the perfect element to incorporate into your space. Society is becoming more eco-conscious, and design is beginning to reflect that as well. If you’re going au-natural, look for products made of sustainable or reclaimed materials like this line of furniture from Eco Friendly Digs. You’ll also want to opt for nature-inspired color schemes and décor. Shades of green, woven textures, and wildlife photography are the perfect way to integrate nature into your interior design. Interested in adding a touch of the great outdoors in your home? Choose one of these gorgeous, custom-made Ken West landscapes. en years ago, it was super crucial to match the finishes in your home with one another. In 2018, that expectation is no more! Metallics are showing up not just on hardware or fixtures, but also in design elements like artwork or wall coverings. Look for rose gold, metallic matte black, and satin brass as you move further into 2018 – they’re some of the top trending metallics for the year. Not sure how to mix your metals? 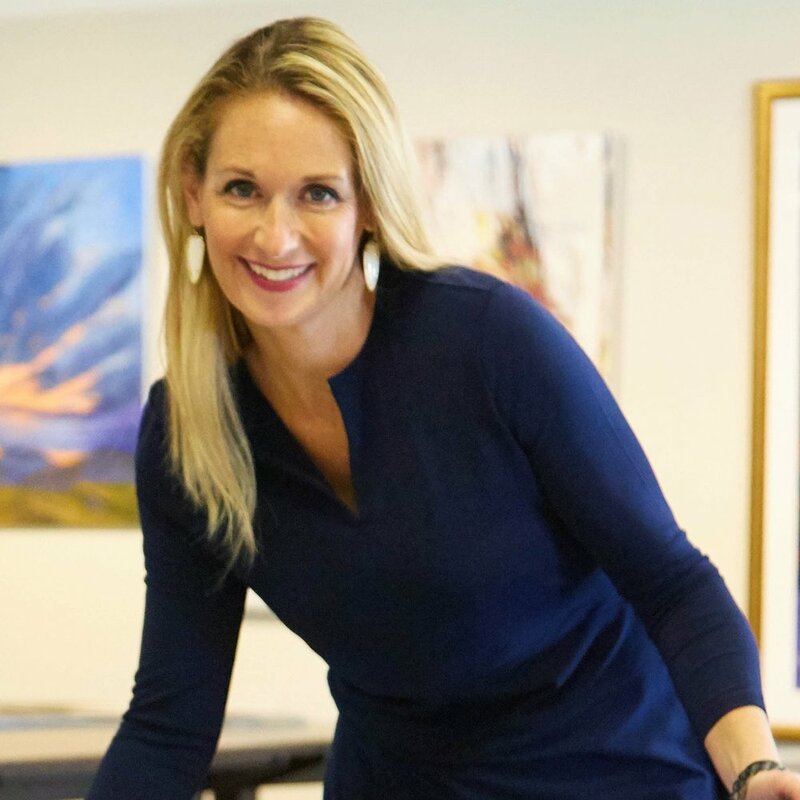 Check out this article from realtor.com, “Go for the Gold: 7 Ways to Make Your Home Shine With Metallic Décor,”then stop by Prairiebrooke Arts and pick up this piece from Liz Jardine. It’ll add the perfect amount of metallic to your room, and it looks fabulous with any metal-finish frame. Say goodbye to monochromatic schemes and say hello to bold palettes in 2018. Bright reds, deep blues, and warm oranges bring life and energy into your space – and now you can use them all together. 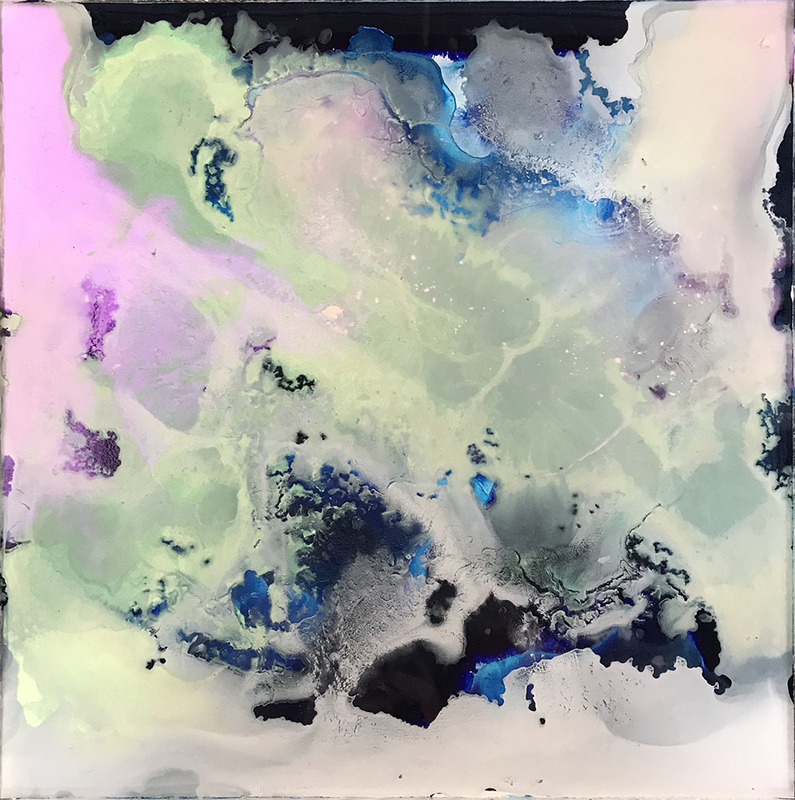 Sam Henderson from HGTV.com predicts a shift into saturated and jewel-tone colors like those found in this Wilfred Lang abstract. It makes the perfect statement piece in any room! While straight edges are still a must in design, 2018’s trends include soft, organic features. Choose sofas with curved cushions or orb-ish light fixtures to seamlessly add this design element to your home. Consider adding circular throw pillows like these from Urban Outfitters, or with a mesmerizing kinetic art fixture by Ryan Kvande. Pantone’s Color of the Year for 2018 is Ultra Violet – a color in a league of its own. This trend is probably the most difficult to incorporate into an existing design, but if you’re starting with a blank canvas, go for it! Pantone has a whole section of their website filled with tips and products for designing with Ultra Violet. If you’re in search of the perfect Ultra Violet focal piece, look no further than Bob Ichter’s back-painted acrylics. They’ve got Ultra Violet paired with every color under the sun. Find your perfect match today! When in doubt, look to your art to keep your interior design on trend. For more than twenty years, Prairiebrooke Arts has been the art resource for Kansas City. Contact us today for your complimentary in-home consultation!